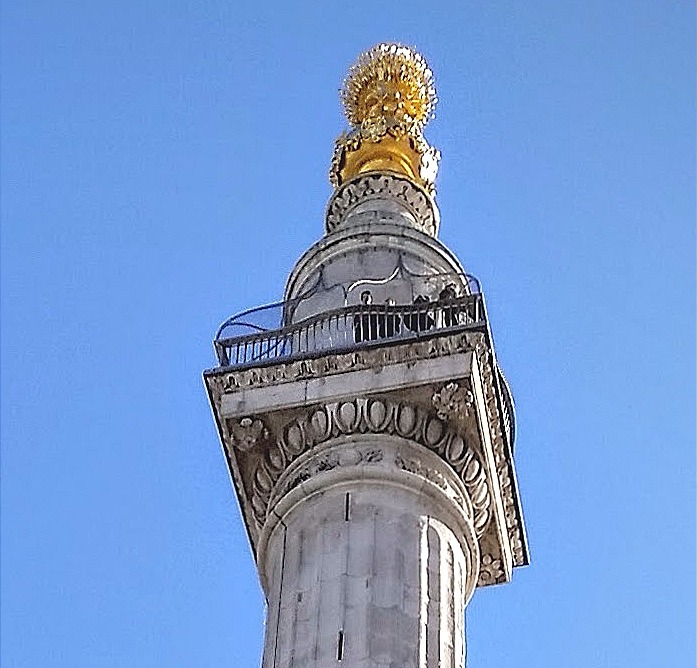 It was a gloriously warm Friday morning, in the Unfinished City, as I made my way down on to the foreshore of the River Thames, just west of the MillenniuM Bridge. The tide was still receding, which allowed me to walk along the shore, below Blackfriars Bridge, to the steps in front of the OXO Restaurant Bar & Brasserie. The foreshore, itself, was remarkably clean with little in the way of litter, making the task of finding those little pieces of history that much simpler. Within minutes I had found some smashed clay pipes, dating from between the 16-18th centuries. This was my first ever find on the foreshore, although I had looked for them on numerous occasions. 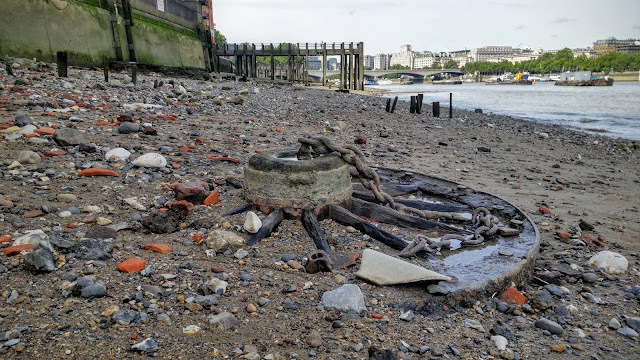 There were scores of Thames Spuds (old London bricks that have been eroded and rounded by the tide), countless Iron Nails (possibly from where ships had been broken up on the foreshore), pieces of timber (possibly from the broken up ships) and an old wheel that looked as it had come from a horse-drawn carriage. Between the dates of January 14 - 17, 2016, the Lumiere Festival visited the Unfinished City for the first time. 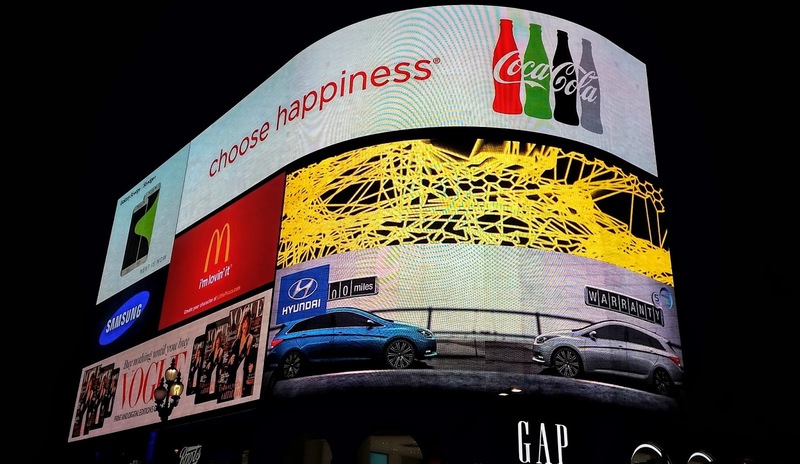 It was while walking around some of the various installations, on a not very cold Saturday night, that I stopped at Piccadilly Circus, close to the statue of Anteros, the Angel of Christian Charity. Because of the crowds that were milling about, even more so than normal because of the festival, I wasn't sure if I would be able to get a decent shot of the World famous Piccadilly Lights, but, to my surprise, this one came out quite well. 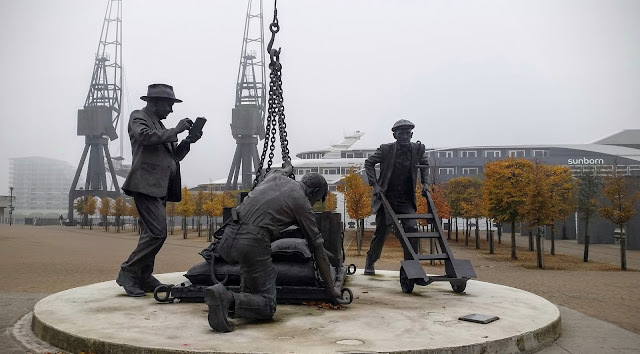 It was a particularly foggy Sunday November morning, in the Unfinished City, as I strolled around the old Royal Docks. Still, this helped to take some dramatic and atmospheric shots, as the area was pretty much deserted. This image of The Dockers, with the cranes disappearing into the fog, became one of my favourite shots of the morning. Having never visited Battersea Park, I couldn't wait to see the place for myself. It was a warm Spring afternoon when I finally reached my destination, where I took many photographs, from various angles. But, in the end, it was the image above, which was the first one I took, that I liked the most. The light and vibrancy of the colours really gave the area a serene feel, considering the bustle of joggers, dog walkers and fitness fanatics that were all around me. 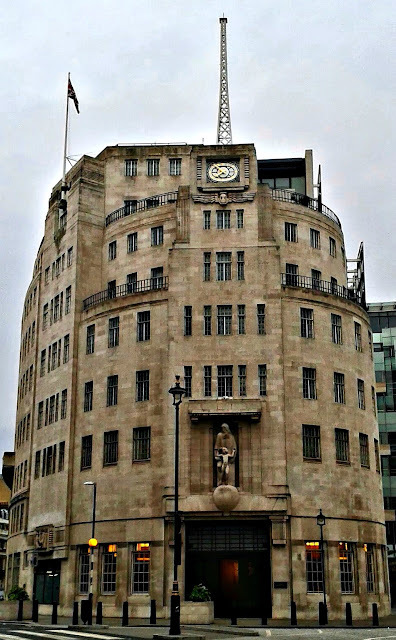 After a nice Sunday afternoon stroll around the Unfinished City's West End, I was heading back towards Baker Street station, when I found myself in front of BBC Broadcasting House. With a lack of traffic and pedestrians, to spoil the view, I managed to take this shot, of the oldest part of the BBC Headquarters. Arcade of Iron and Glass. It was a strangely quiet Friday lunchtime, wandering around the Unfinished City, when I found myself heading toward the City of London. 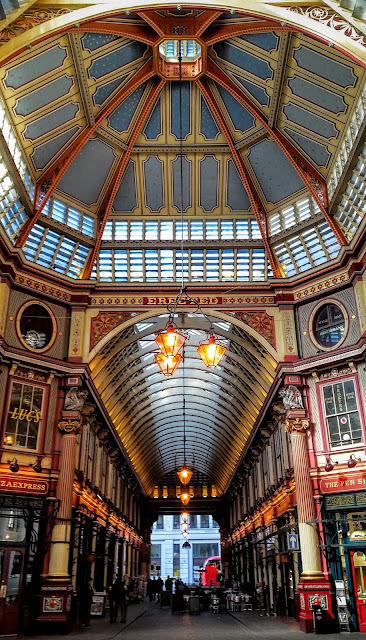 This is an area hat I am the least familiar with, so I decided to take a look at Leadenhall Market and its immediate environs. The World's first person to be killed by a railway locomotive. It was during a walk from Battersea to Westminster that I spotted this statue of a man dressed in a toga. 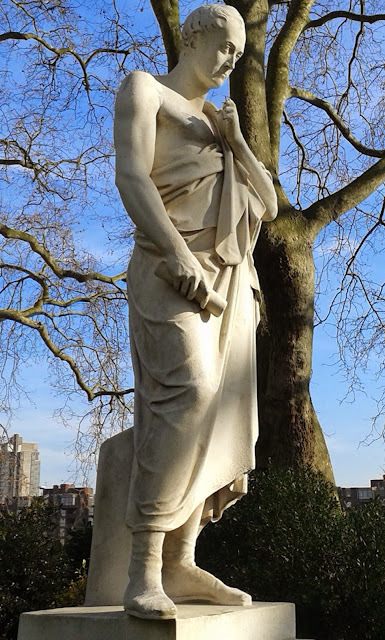 The dates on the statue, however, didn't explain why this figure should be dressed in Roman garb, so I decided to do some research. I can still not work out why he is depicted in this way. 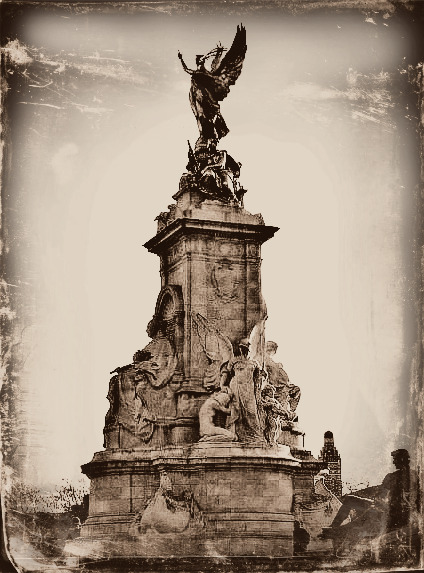 Considering how many visits I have made to the Unfinished City, there are very few photographs that I have taken of Buckingham Palace or the Victoria Memorial. I have visited the area on numerous occasions, but crowds always obscured, or prevented, me from obtaining the shot I wanted. However, on this particular afternoon, the crowds were light, so I was able to grab some great shots. 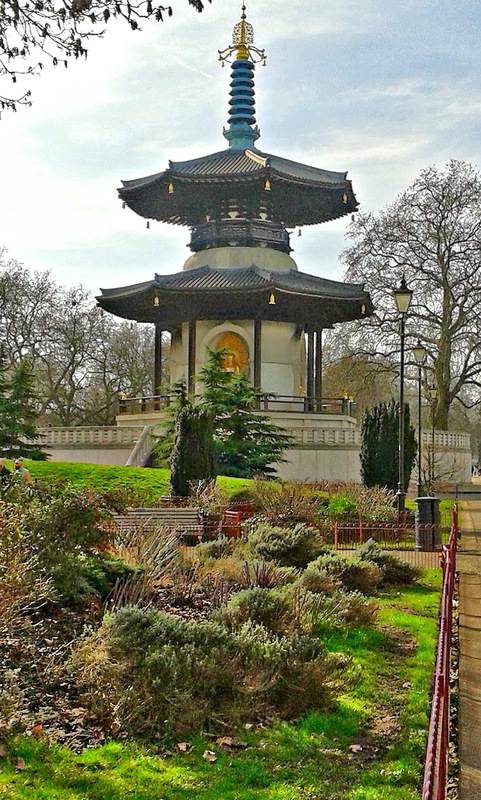 I took this shot with a sepia setting, before adding a distressed effect later on. 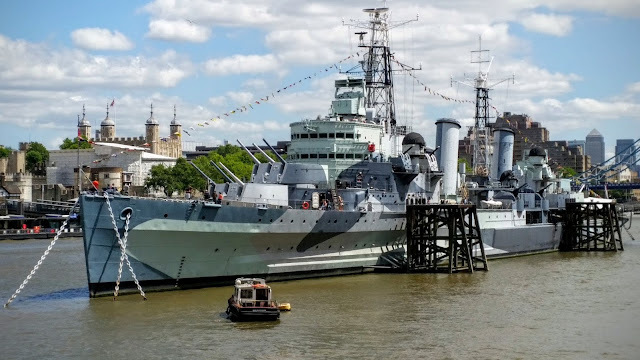 It was while walking around the Unfinished City, and its environs, that I managed to grab yet another image of this iconic piece of Royal Navy history. Thankfully, the sun was just right and the crowds were few, which allowed me to get this shot, with the Tower of London in the background, rather than the standard shot of H.M.S. Belfast with Tower Bridge. I have clambered under, and over, her decks on a number of occasions, but on this visit it was purely for the photograph. For this walk around the Unfinished City I began my journey at Borough Market, where I had a late breakfast, before heading down the Old Kent Road, towards Mandela Way. I had heard so much about Stompie that I wanted to see her for myself, so that I could mark it off my to see in London list. I was not disappointed. The land that Stompie resides upon is only partially fenced, so you can get up close and personal with this piece of military history. Reflections on a Shard of Glass. 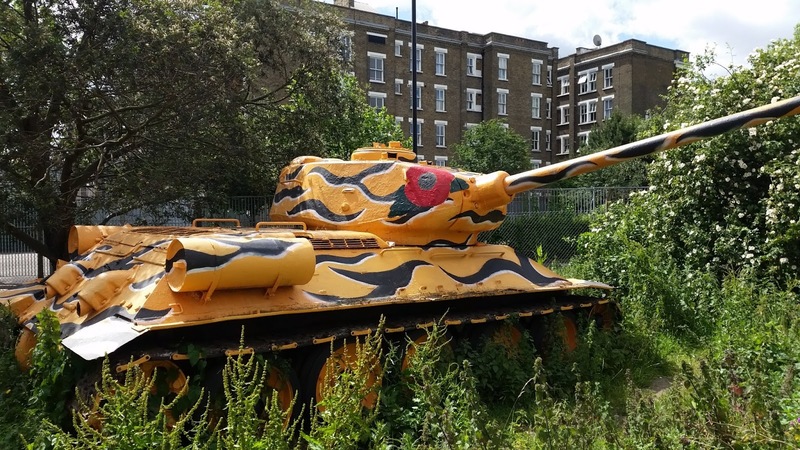 It was while on another walk around Southwark and the surrounding area, that I found myself on St Thomas Street. As I walked eastward towards The Horseshoe Inn, I looked up and realised that I was directly below The shard. 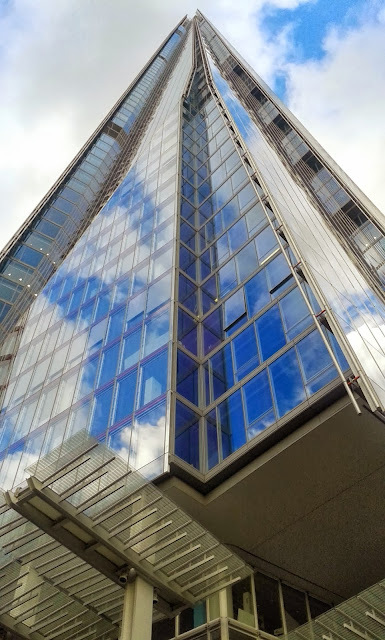 Having only really seen it from the north bank, and from afar, I couldn't help but snap this shot from this this odd angle, with the clouds reflected in the thousands of glass panels.